Collaboration is the key to successful research. Since Rush Medical College opened its doors in 1837, our clinicians and scientists have been working together to unlock the secrets of medical science and using what they’ve learned to transform health care. It’s a tradition we continue into the present, with more than 1,600 basic, clinical and population studies underway at Rush that aim to decode the mechanisms of disease, develop new treatments and make health care more personal and proactive. However, today’s medical research often requires access to specialized instruments and complex technologies most individual labs can’t afford. In this area, our collaborative approach has proved invaluable. 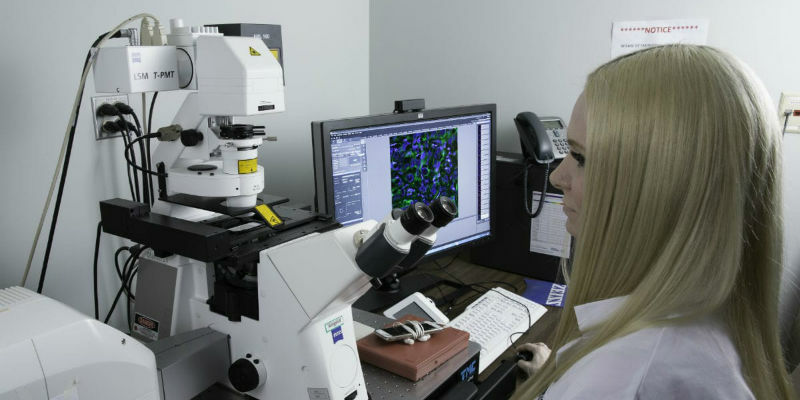 The Rush core laboratories provide both Rush and outside investigators with access to facilities that offer leading-edge tools, equipment and technologies that are essential to many modern research projects. Thanks to generous financial support from the Office of the Vice Provost for Research, the core labs are directed and staffed by expert investigators and technicians, who can optimize experimental efficiency and help you obtain the data your project requires both quickly and economically. The Rush cores can also train your personnel to operate some of our instruments, a competence that may be especially valuable if you need to analyze many samples over an extended period of time. The University of Illinois at Chicago Research Resources Center and the University of Chicago operate their own core laboratories as well, and these large institutions have some core labs with capabilities that are not available at Rush. We have negotiated agreements with both UIC and UC so Rush investigators can use most of the cores at both these institutions for the same fees their own investigators pay — another example of researchers working together to improve health care for all.